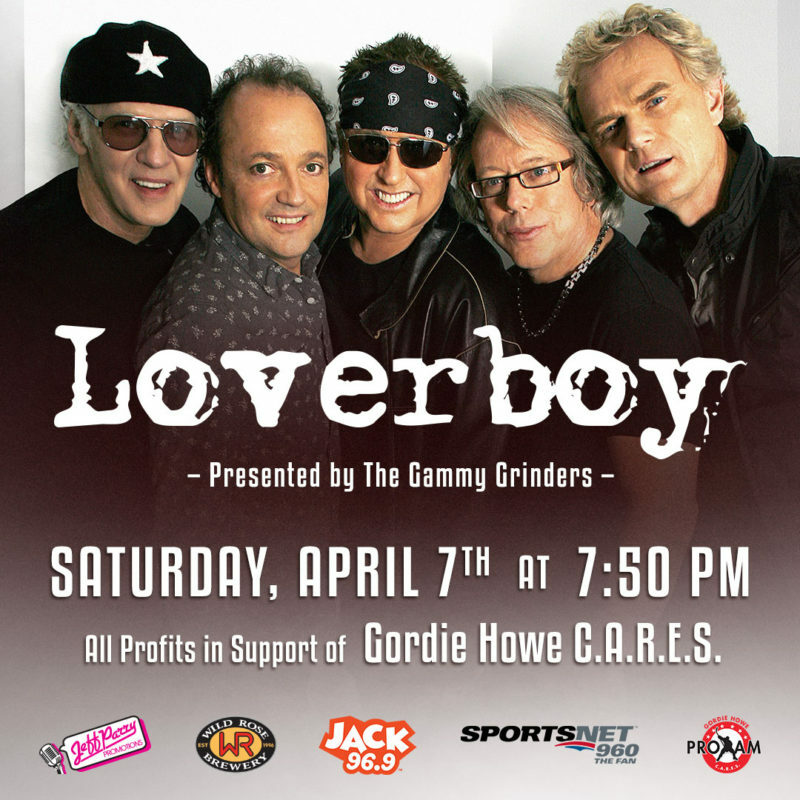 On April 7th, join Loverboy and special guests The Night Terrors and Dave O’Bray and the Hackers for a night of incredible music all in support of the Gammy Grinder’s fundraising for Gordie Howe C.A.R.E.S, a society dedicated to helping fund Alzheimer’s and Dementia Research in Calgary. According to the Alzheimer’s Society of Calgary, there are currently over 13,000 Albertans affected by the disease and for every one person diagnosed, over 10 to 12 people are directly impacted. Experience a live music event the likes you’ve never seen before with your ticket going towards fighting a devastating disease. Grab your tickets here – use promo code Loverboy to unlock pre-sale tickets.